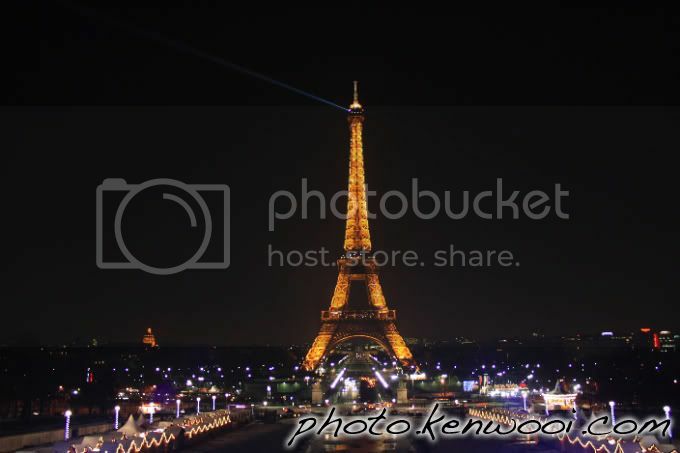 The night view of Eiffel Tower, Paris. Photo taken from Trocadero Metro station, where the best view of the structure can be seen. More details at The French Job: Eiffel Tower Visit on kenwooi.com.